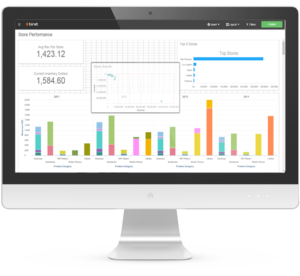 Birst is a cloud business intelligence and analytics tool with In-memory data model designed to connect the whole enterprise through a network of virtualized BI instances in a common base of analysis. What this means is that organizations can connect to different sources, create models for specific areas and then link those models to generate an integrated view of the performance. Birst was created by Brad Peters and Paul Staelin. Both Peters and Staelin where leaders of the product team in charge of Seabel Analytics, which later became Oracle Business Intelligence Enterprise Edition (OBIEE). So we are talking about industry leaders with a vision that has been proven to be focused on the future of analytics. Birst was born in the cloud, providing a full set of analytics with the flexibility, reliability and scalability of Business Intelligence in that environment. Check our post about ROI of Cloud Solutions for more information. Supporting private and public clouds, Birst can also be implemented on-premises or in hybrid architectures. Birst review by both Gartner and Forrester have already shown this solution as one of the top ranked tools within Cloud BI and Analytics. This recognition as innovators show the value that it can provide to organizations. Make sure to also check the Gartner Critical Capabilities for BI & Analytics Platforms which is a complementary report that focuses more on the functionality of the applications. Other distinguishing features include a unique data warehouse automation feature (for which Birst has been awarded a broad technology patent) and its ability to integrate with other BI platforms. As customers also highlight, Birst’s mobile capabilities set it apart, with HTML5 and native app delivery, including off-line support. Import or access live data. Perform data transformation and apply predictive analysis. Linking already created models which introduces the concept of Networked BI. There are many companies out there offering cloud BI solutions. So what's different about this one? Born in the cloud, with all the implications that brings in terms of security and reliability. Some vendors were designed for on-premise and are struggling to move to a cloud option. They just install their software in a cloud server which in many cases does not comply with many security protocols out there. Browser based interaction: there is no need to install a client (desktop) application or server to build your visualizations. Specially when hosted on Birst's cloud which takes care of performance and scalability. 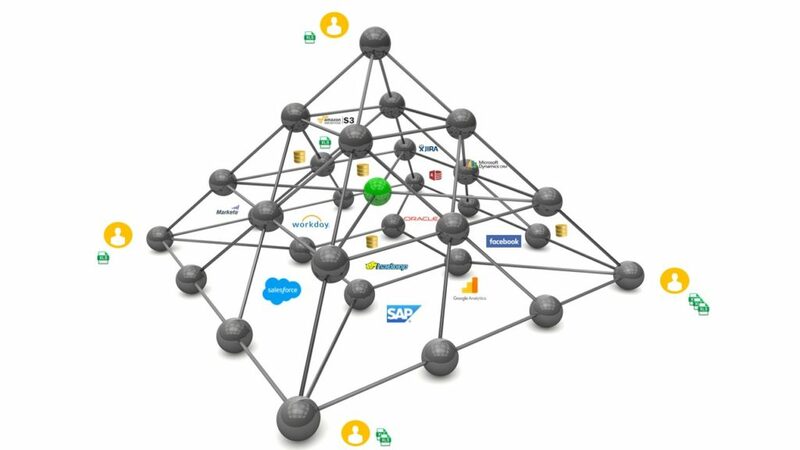 All-in-one application: some BI applications focus more on data discovery, some other on reporting, some others complement their functionality with an ETL tool. Birst provides full functionality on each of these areas in an intuitive manner to facilitate the work of the users involved. Networked BI: if there is already a project with data that is needed for another area, this can be easily linked to be used in a different deployment. There is no need to replicate data which generates additional maintenance. Birst Tutorial: customer will have access to multiple self-guided training material. Along with its intuitive interface this is a great way to get up and running with the solution. Birst acquisition by Infor, a global organization with a large portfolio of business software solutions, is testament of it's potential and the idea is to complement and innovate the actual suit of products from Infor. The total cost of ownership and the flexibility that Birst offers is unique within the Analytics area. Existing Infor customers now count with Birst connectors that can deliver report directly from their ERP and/or many other products. The list of Birst customers include some interesting names such as Citrix, Honeywell, Cisco, Clarks, CBS Interactive among others. As mentioned above, Birst offers a subscription model with their Cloud environment which provides a lot of benefits in terms of reliability and scalability. It can also be installed on-premise with the "appliance" option or in a hybrid scenario where the database can be hosted on-premise and the rest be cloud base. There are two main versions: Professional and Enterprise. The Professional is the simpler edition, developed to pull data from a limited number of sources/tables. The Enterprise has more flexibility in the sources that can be used and provides more technical functionality for ETL and the Star Schema. Both versions use the same reporting and dashboarding functionality. The main difference is the Pixel Perfect reports (Designer) that is available in the Enterprise version by default, but it is an add-on for the Professional edition. Birst pricing has been proven to be really accessible for SME's as well as large enterprises. Cipher has a special partnership with both Infor and Birst. With our unique expertise in the BI and Analytics area we are able to assist our customers in planning, acquiring and implementing this powerful solution in record time generating savings along the way. If you are interested about the application and would like to try it by yourself feel free to Register for a Trial and be able to interact with the application and experience all the benefits it has to offer.